PA chief claims Palestinians are direct descendants of Canaanites, says Palestine made contributions to humanity before Balfour Declaration. 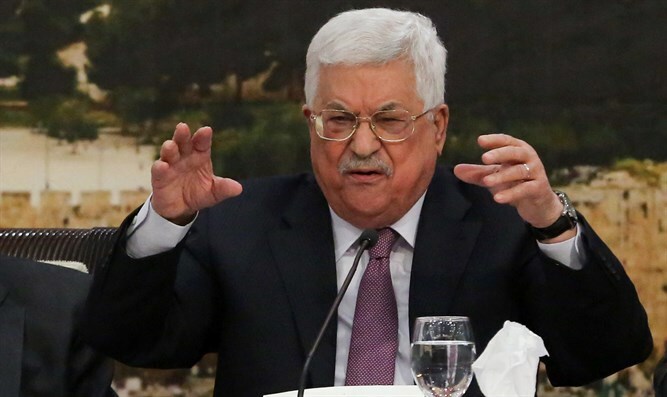 Palestinian Authority chairman Mahmoud Abbas told the United Nations Security Council that PA residents are the direct descendants of the Canaanites, claiming that ‘Palestine’ made significant contributions to humanity prior to the 1917 Balfour Declaration. During his address at the UN Security Council in which he called on the international community to hold a Middle East peace conference, with the goal of launching multilateral negotiations, Abbas claimed that the Arab residents of Judea, Samaria, and Gaza were in fact descended from the ancient Canaanites. "We are the descendants of the Canaanites who lived in the land of Palestine 5,000 years ago, and continuously remained there to this day. Our great people remains rooted in its land. The Palestinian people built their own cities and homeland, and made contributions to humanity and civilization." While experts dismiss the “Canaanism” theory as historical revisionism, since the Canaanites, pagans who sacrificed their children to the idol Moloch, have long disappeared, Abbas has made the claim on multiple occasions in the past. Other Palestinian Arabs have claimed to be descendants of the Jebusites who held Jerusalem until King David's time, although it is a historic fact that Arabs actually arrived in Israel in the 7th century C.E. "When we talk about Al-Quds ... we are talking about a civilization of generation after generation that has existed for 5,000 years or more, but we say that we have been in this land for at least 1,400 years, since the Arab Canaanites built the city of Al-Quds. Moreover, we may be talking about a history that is even longer than that, as it says in the Hadith of the Prophet (Muhammad), the Noble Prophet (Muhammad): "The Al-Aqsa Mosque is the second mosque that was established in the land after the holy mosque (in Mecca.)" During his UN address Tuesday, Abbas went on to criticize Britain over its 1917 Balfour Declaration, in which the UK pledged to assist in the establishment of a Jewish national homeland in the historic Land of Israel. The PA chief claimed that prior to the declaration, Palestinian Arabs had established an advanced civilization with “international influence”. "They established institutions, schools, hospitals, cultural organizations, theaters, libraries, newspapers, publishing houses, economic organizations, businesses, and banks with wide regional and international influence. All of this existed before and after the Balfour Declaration issued by the British government in 1917." This is not the first time Abbas has publicly decried the Balfour Declaration or castigated Britain for its involvement with the Zionist movement following World War I. On the 100th anniversary of the Balfour Declaration last November, Abbas demanded Britain apologize and compensate the PA for alleged damages suffered as a result of the declaration.